"Oyi" is the second cover released by Doubuz under the last 30 days. If we recollect, he released "Waist" a cover to Teni's "Case" last day of 2018. Here is another cover to our delight. 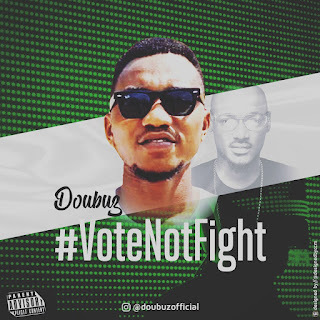 "#VoteNotFight" is a cover to 2baba's first single of 2019 #OYI with the same BEAT although different NARRATIVES. Doubuz did something different with the tune and if I hadn't listened to 2face's, I wouldn't believe it's a cover. Elections are days away and in under three minutes Doubuz summarizes all that an electorate needs to put by heart for days to come. Listen and enjoy!